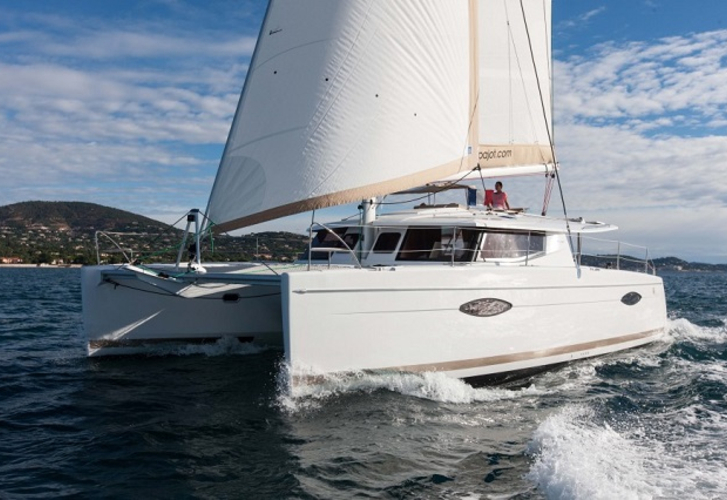 CLASS is a name of sailboat Helia 44 ,which has been manufactured in 2013. You can charter this boat from port Sant Agata di Militello in area of Sicily. CLASS is equipped with 10 sleeping places. Berths on the sailing boat are configured in 10 layout. 6 bedrooms are situated inside the sailing boat CLASS. Look for other boats following this link: Yacht charter Sicily. Crew members can feel good on this boat , because there are 4 WC for their disposal. CLASS is driven by engine 55. Vessel's dimensions are: lenght overall - 13.30 m , width - 7.40 meters and 1.15 meters of depth. Security deposit is at the level of 3000.00 EUR. In our search engine you can easily check avalailability of vessel CLASS from Sant Agata di Militello by navigating to this section: Yacht charter Italy.